Here, we’ll be talking about the Pax Era and the Saionara, two wax pens that effectively do the same job in very different ways. Concentrate vaporizers are more popular than ever, and there’s a good reason for this. Concentrates like wax and hash liquidize in almost no time, and, for this reason, they vaporize like a dream. Herb is by no means difficult to vaporize, but it can’t match the potency of concentrates. The most potent strains of marijuana can contain more than 25% THC, but concentrates usually contain more than 50% THC. That’s actually a conservative number as many concentrates are over 90% THC. Pax is no stranger to the vape nation. Every unit produced by Pax becomes the new industry standard in its own right. This company is a trailblazer, and the Pax Era continues this trend by reinventing the way vapers consume wax. This unit is significantly smaller than all of its Pax predecessors. It utilizes a closed system, which means that it’s only compatible with Pax Era Pods. Some will see this as a drawback. It certainly limits the device’s versatility, but it also provides the user with unparalleled ease of use. We’ll get into those nitty gritty details a little further into the battle. Next, we have the Saionara. The Saionara is an innovative and expertly crafted device made by Humboldt Vape Tech. Like the Pax Era, this device is designed to vaporize concentrates exclusively. Unlike the Pax Era, the Saionara isn’t meant to be the most compact concentrate vaporizer on the market. In fact, the Saionara alone can’t vaporize concentrates at all. Much like an e-liquid atomizer, it’s designed to be used with a mod. Its Lungbuster technology utilizes the power of a mod very efficiently, and it results in superb vapor production and flavor. Both the Saionara and the Pax Era are outstanding devices with an emphasis on convenience. That being said, each of these units will be convenient for a different kind of user. So without further ado, let’s dig into the inner workings of each and determine which will be the best for you. In terms of performance, the Pax Era is nothing to scoff at. The battery life isn’t bad, but it’s certainly not the best we’ve seen. The pens compact size makes this flaw easy to forgive. You can only fit so much power into such a small package, and the Pax Era’s relatively high temperatures require a lot of power. With all of this taken into consideration, the Pax Era’s average battery life is actually quite impressive for a vape pen. The vapor production is the same story. 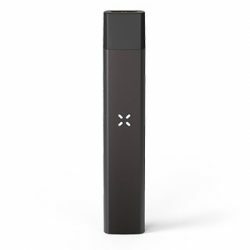 The Pax Era definitely won’t provide the most vapor per hit, but it’s important to remember that the Pax Era is the smallest concentrate vaporizer on the market. Considering the Pax Era’s size, the vapor production is rather impressive. Furthermore, the potency of the Pax Era Pods is extremely high, sitting at 80% THC. This high THC percentage makes the oil extremely fast acting. 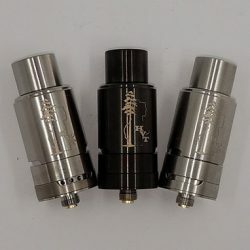 The Saionara is fairly large compared to most of the atomizers you see topping mods. It isn’t discrete or compact, which is fine, because it aims to be neither of those things. Rather, the Saionara aims to be a convenient and innovative powerhouse for concentrates. The Saionara’s vapor production is very impressive, and the flavor is quite great. It doesn’t match the flavor of the Pax Era, and it certainly isn’t as smooth. The mileage in those areas will vary depending on what concentrate is being used. So, between the Pax Era and the Saionara, who’s outperforming who? The Saionara might produce more vapor, but it doesn’t do so by much. Put these devices next to each other, and you’ll be surprised by how close the little Pax Era comes to the Saionara in terms of vapor production. This is very close to being a tie, but the Pax Era has a slight edge in the performance category. The Pax Era provides consistently smooth and flavorful hits, and it does so with a ridiculously small form factor. 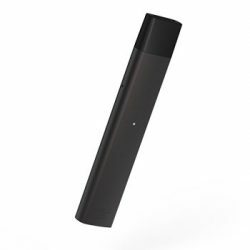 The vapor from the Pax Era is some of the smoothest we’ve ever had, and this is likely due in large part to their inclusion of propylene glycol. Why does propylene glycol help? Vaping wax is already far more pleasant than hitting a dab rig, but Pax took the initiative and went a step further. The inclusion of PG makes the hit extremely smooth. 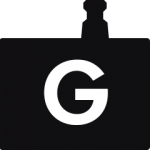 Propylene glycol is typically used in e-liquids because it’s smooth to inhale. It also happens to be a great medium for flavor. Pax has successfully applied the same principle to their pods. Pax Era Pods are still 80% THC, making the vapor more potent than that of most concentrates. That being said, the inclusion of propylene glycol only helps. The high THC content is still there, and the effects are extremely noticeable. You really get the best of both worlds in one of the smallest vaporizers on the market: an impressive feat to say the least. The Saionara is, without a doubt, a high-quality device. It’s stainless steel construction looks and feels very premium. Under the hood, it’s using a ceramic wax chamber. This is going to be great for the flavor and consistency of the vapor. It does a commendable job, but the experience with the Saionara is limited to the wax being used. The device itself is designed very well, and you’ll get high-quality vapor from it without hassle. The people over at Pax have really struck a perfect balance between flavor and potency, and it’s an experience that can only be obtained through their proprietary pods. A closed system definitely limits your options, but in this case, the experience is so good that you’re likely not going to want to use anything else once you’ve tried this. We can confidently say that the Saionara will never quite approach the Pax Era in terms of vapor quality. 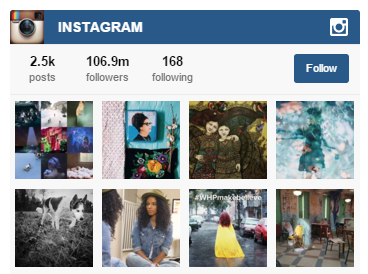 We should preface this category by saying that it won’t even be close. The Pax Era is the easiest vaporizer to use, period. Across the board, from herb vaporizers to wax vaporizers, nothing compares to the Pax Era’s level of convenience. Let’s talk about why that is. We’ve already talked about the Pax Era’s proprietary pod system. When you want to vape, you simply drop the pod into the era and start pulling. There are no buttons to mess with. 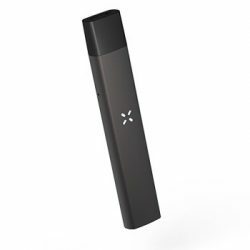 The Pax Era is a convenient, innovative, minimalist vape pen. However, it doesn’t compromise features. It has four preset temperatures as well as the ability to set custom temperatures. That’s right, this little device has precise temperature control. Without buttons, how does the Pax Era have preset temperatures and custom temperatures? To access the preset temperature options, you just pull the pod out and give it a shake. Pax’s famous four-leaf LED interface will automatically begin to cycle through the four temperature options. Once it’s reached the temperature you like, simply place the pod back inside the Pax Era and start pulling. The Era’s sensors will detect your pull and fire the device for you. It’s that easy. You can tell that the people over at Pax didn’t want any of their users to experience even a moment of frustration. The pod’s connection points were even made to be symmetrical, so no matter which way you drop it in, it connects without an issue. If you want even more options, you can download the Pax Era app on an Android or iOS device. It uses Bluetooth to give you a full array of temperature options. To connect the Pax Era, all you have to do is open the app and give your Era a shake. It couldn’t be simpler. Operating the Saionara isn’t rocket science, but it’s a bit of a hassle. It has three different coils for use with different concentrates. Each has its own wattage compatibility, so every time you switch one out, you’ll need to look up its compatible wattage. After that, you still need to place the wax on the coil and pulse the power enough times for the wax to melt into the coil. It will technically work without this step, but it’s necessary if you want smooth, even vaporization. The Saionara isn’t too difficult to use, and those that are used to it won’t mind the little bit of work that it requires. However, after using the Pax Era, the Saionara feels comparatively tedious to use. As was earlier stated, the Pax Era wins this one with flying colors. This little device is roughly the size of a USB drive. If that sounds familiar, it’s because that’s exactly how the Juul is described on a regular basis. Put them next to each other, and you’ll see that the form factor is nearly identical. This is because Pax is actually the sister company of Juul. Once you see that, there’s no unseeing it. The innovative designs, the extremely effective way the units are marketed, the proprietary pod systems, even the logos are extremely similar. The Saionara consists of four main parts, and to best explain it, we’re going to start from the bottom and work our way to the top. First, there’s the base. It uses a standard 510 thread that’ll fit virtually any mod. It’s 22mm in diameter, so overhang won’t be a problem with most mods. The next part is the section that houses your coil. It’s all one piece, and when the coil needs to be replaced, you simply replace that entire section. It screws into the base, and sitting atop the coil housing is the cap. The cap easily slides onto the coil section. The top of the cap looks closed off, but upon closer inspection, you’ll notice that there are air slots placed discreetly on the edges of the cap. This keeps the wax from popping and burning your mouth. The last piece is the mouthpiece, and it slides in without a problem. All the parts fit together very nicely, and the unit as a whole has a very premium feel. It’s worth noting that the Saionara has adjustable airflow while the Pax Era does not. Both the Pax Era and Saionara are well-made devices. They both do what they were intended to do very well and without hangups. The Pax Era might be the more “high-tech” option, but the Saionara was designed to offer the user a little more versatility. That being said, we’ll leave this one to a tie. For each of these devices, the design couldn’t be better. This explanation of Pax Era’s maintenance is going to be a short one, because, well, there really isn’t any. All of the vaporization that occurs within the disposable pod. They’re designed to be leak proof, so really, the only maintenance required is replacing the pod. It couldn’t be easier, and there’s absolutely no mess. It definitely needs to be cleaned, but doing so isn’t very hard. First, disassemble everything. Detach all four parts and remember to remove those O-rings. Submerge everything but the O-rings in isopropyl alcohol for a few hours. After a while, remove the parts and let them sit until dry. The Saionara utilizes a pretty standard cleaning method, and it doesn’t need to be done very often. Still, the Pax Era really doesn’t need to be cleaned at all. That is truly the ultimate convenience. When you consider what it does (and just how well it does it) the Pax Era is surprisingly cheap at only $30. 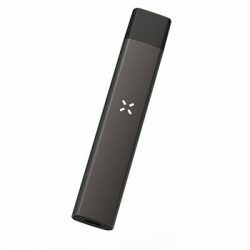 That price is low for any vape pen, but this is a Pax device. We’re used to those costing several hundred dollars. Does it seem too good to be true? Listen to that instinct. Pax makes up for this low price by charging through the roof for their pods. There are a lot of different pods to choose from, and the prices vary. To get your hands on one 500mg pod, you’ll have to pay $40 at the very least. Let’s put that into perspective. 1000mg (or a gram) of wax typically costs about the same. If you’re looking strictly at how much wax you’re getting for the price, the Pax Era pods cost about twice as much as regular wax would. Why do they cost that much? There are a few factors. It offsets the extremely low cost of the unit itself. It makes sense from a business perspective to get people invested by offering a high-quality, inexpensive device. When you pay $40 or more for a Pax Era Pod, you’re paying for quality, and you’re paying for convenience. The Saionara costs $35, but unlike the Pax Era, you’ll need a mod to use it. A mod can cost anywhere from $20 to $200. The Saionara uses very little power, so an inexpensive, low-wattage device is all you’ll need to get started. A gram of regular wax can be found for as low $30, so for sake of comparison, let’s say that 500mg costs $15. 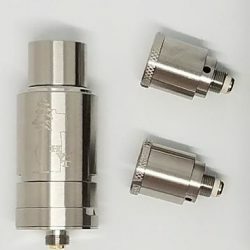 The Saionara, a cheap mod, and wax will cost at least $70. If you decide to get the Pax Era, after you’ve bought a 500mg pod, the full package will have cost you $70. In terms of the initital cost, these two are going to cost about the same. However, after a while, the more expensive Pax Era pods will add up. It’s definitely the more expensive device to use, but it offers unparalleled convenience and discretion. It costs more, but it offers a lot more too. Both of these units are priced as they should be, so we’re going to call this one a tie. The Pax Era specializes in being the most convenient vaporizer on the market. Everything about it was fine-tuned with convenience in mind. Convenience comes at a price, and to some convenience will be worth that price. The Saionara, although not as convenient as the Pax Era, also specializes in being convenient. 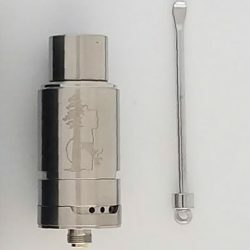 Mods are primarily for vaping concentrates, and the Saionara is made more for those that already have a mod. If you vape e-liquid and already have a mod, it makes sense to spend that $35. Why buy an entirely new unit with a battery and an atomizer when you already have a battery sitting around? The Saionara could be considered a budget solution for those that want a wax vaporizer with great cloud production.. Both the Saionara and Pax Era are great devices, but they’re aimed at different users. If you want something that’s convenient and easy on the wallet, the Saionara will get the job done. It’s also a very compelling option for those that already have a mod. If you want the latest and greatest in concentrate vaping technology, there’s really nothing like the Pax Era. If you want the best tasting, smoothest, most potent vapor on the market, again, the Pax Era is going to be your best friend. It isn’t the most cost-efficient vaporizer out there, but convenience isn’t free. To see all the best vaporizers for concentrates, and the best pen vaporizers check out our best vapes section! The Kandypens Prism is a great Vape Pen and a sub-ohm concentrate vaporizer which provides some of the smoothest hits out there. By utilizing a ceramic plate and chamber, it produces extremely smooth and flavorful vapor. If you prefer vapor production over flavor, it also comes with dual quartz rods and a titanium atomizer. When applied, that titanium atomizer can produce more vapor than you’d expect from such a small device. It’s high-tech, beautiful, and very discrete. Another great pen-style vaporizer is the Grasshopper. It’s intended for use with dry herb, but it actually vaporizes wax better than a lot of wax vaporizers. Just wrap some cotton around your wax and drop it in. Use just enough for it to fit snugly but no more than that. At the 4.5 temperature setting, this thing blows clouds! This unit is smaller than most wax pens and most herb vaporizers, but it can easily handle both wax and herb. If you want the best of both worlds in a compact and powerful unit, the grasshopper is worth considering.